The second season of The Heroic Legend of Arslan returns in the form of The Heroic Legend of Arslan: Dust Storm Dance; but what can one expect to receive from the Blu-Ray release of this series? Let’s take a look and find out! Inspired by the original Japanese fantasy novel series of the same name by Yoshiki Tanaka and based upon characters drawn in the manga by Hiromu Arakawa; The Heroic Legend of Arslan returns in the form of this season 2 release known as The Heroic Legend of Arslan: Dust Storm Dance. It might seem like a return to glory; but featuring only eight episodes this second season of the continued story of Arslan feels more like an abridged story focusing on key battles and locations. As a result of this not much time is left for character development and exploration, and it instead focuses solely on the next battle and objective. 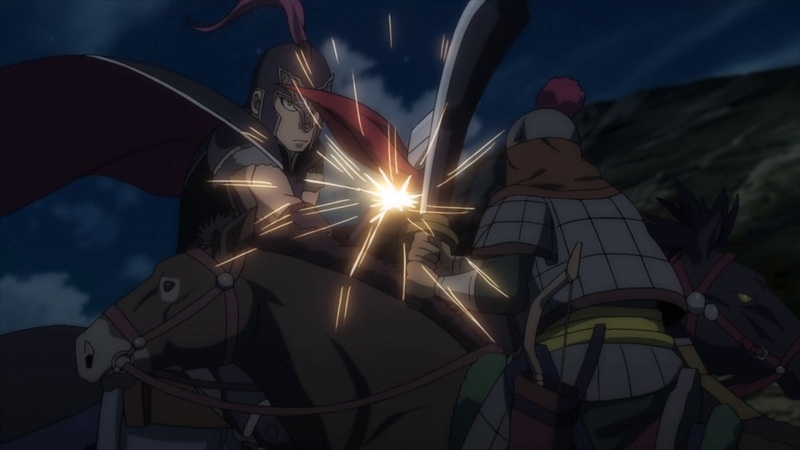 Taking place shortly after the events of the first season we find that Arslan has had to return to Peshawar in order to repel an enemy attack from Turan forces. As with most battles in this second season it is over just as quickly as it begun and as such leads Arslan to regroup within Peshawar while planning their next move. At the same time King Andragoras, along with his wife and a few survivors, escapes from Ecbatana (which is now in control by the Temple Knights), in order to find safety in the form of Peshawar. The combination of Arslan saving Peshawar and King Andragoras arriving sparks joy within the area; but this joy is shortlived with some harsh words from the king. 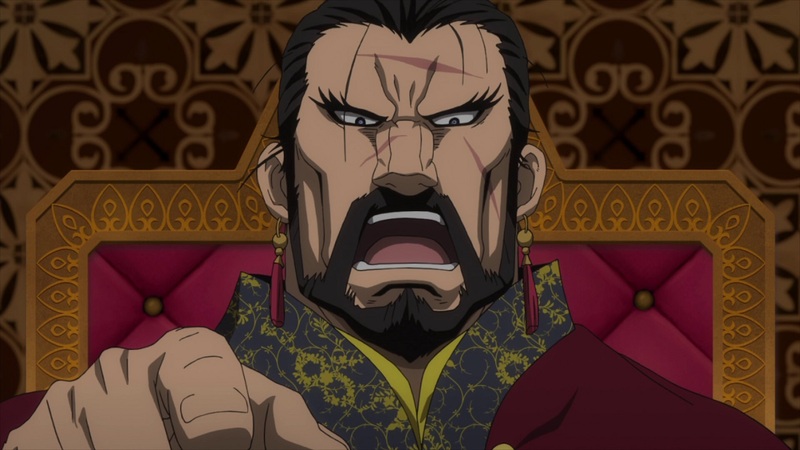 The Crowned Prince Arslan is ordered to recruit 50,000 soldiers for an attack on Ecbatana and is ordered to do so alone. Treated as exile Arslans key allies escape from Peshawar in order to aid in Arslan quest of recruiting new members for their cause and as such venture to the Sea to locate an old friend of Narsus. Upon arriving at this new location, known as Gilan, it’s discovered that not all is as seems; with Narsus’s old friend Shagad acting differently than once before as well as pirates combing the sea in search of treasure from traders. Gilan is a successful port city; but with a corrupt government official and a sneaky trader at hand things haven’t been as successful for the other merchanants. 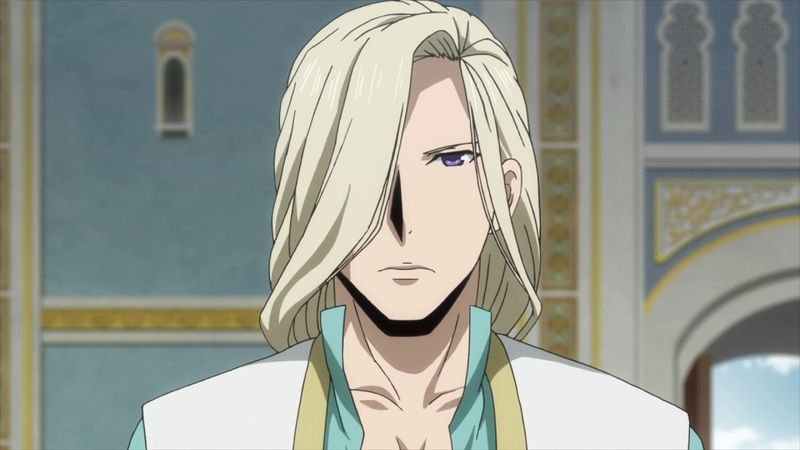 Naturally Narsus is quick to uncover the situation and soon finds himself, along with Arslan and the rest of his allies, to return things to the way they should be. This sees various actions take place; but mostly a battle between traders and pirates as well as old friends who have now become enemies. In hindsight this only one of ‘two’ character development moments we see in this second season; with the second character development being a crucial one. This being the further backstory of HIlmes and how he obtained the scar on his face. It begins with him searching for a mysterious sword; but while this sword ultimately escapes his grasps – as it is stolen by the temple knights – he encounters an old friend, a princess, and starts to begin reminiscing about the past. This chance encounter also leads Hilmes to lead a daring rescue attempt on the princess when she is pronounced as the attempted murderer for the King of Innocentus VII. Until now not much has been explored within Hilmes and his origins; so it was a nice change of pace to see him becoming more a central figure than a mysterious character. Additionally it also shows his resolve and the lengths he would go to in order to protect those around him; something which we only tend to see with Arslan. 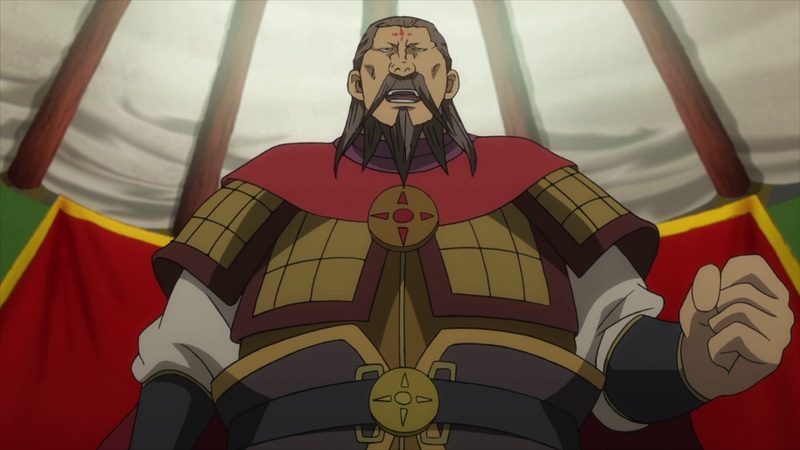 This second season of The Heroic Legend of Arslan keeps the momentum that was set during the first season; but due to its limited episode count it does feel rushed and abridged with the narrative quickly providing information as to the events of battles that took place in order to move the story along. For the most part this ‘Dust Storm Dance’ focuses more on the poltical portions in Gilan with the occasionally battle; but more importantly feels more like a calm before the storm with the series ending on the promise of a decisive battle between the different factions waiting to do battle. 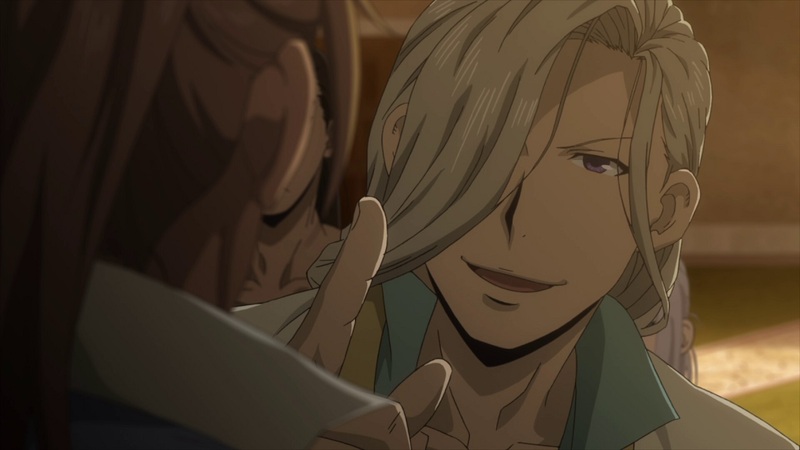 While The Heroic Legend of Arslan: Dust Storm Dance does not feature much episodic content, so much so that it all fits on a single Blu-Ray discs, it does feature a wide variety of supplementary content and in some ways is more entertaining that the series itself. In this case we have English Cast Commentary Corporate Warrior Arslan Episodes, Textless Songs and Trailers for viewers to enjoy after the series has ended. 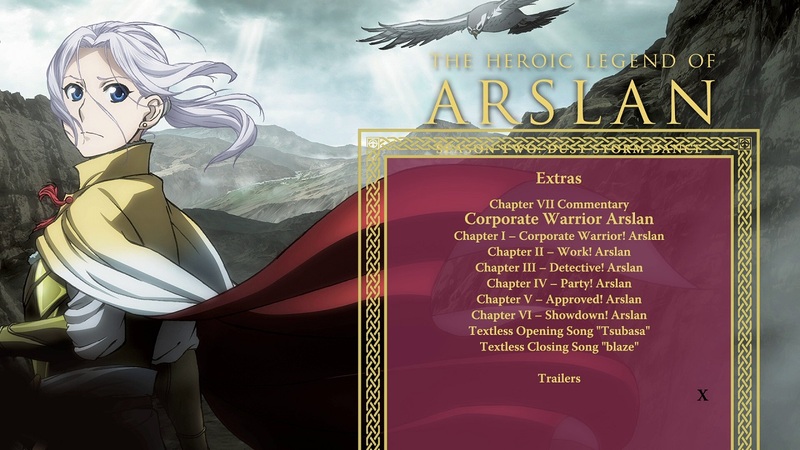 Naturally the highlight of these bonus features should be the “Corporate Warrior Arslan” episodes. Presented in Chibi form, and in Japanese with English subtitle, these episodes (or shorts) see Arslan and his group of warriors doing daily activities in an office environment. It is a ‘real world spin’ on the Arslan story and it seems to be work exceptionally well. Of course those wishing for a more ‘insightful’ experience can checkout the Cast Commentary which sees voice talent share their experiences with season two of The Heroic Legend of Arslan. Of course the final selection of bonus content, in the form of textless songs and trailers, are nothing to get too excited about but it does add some variety to the overall package and the songs are good as well. 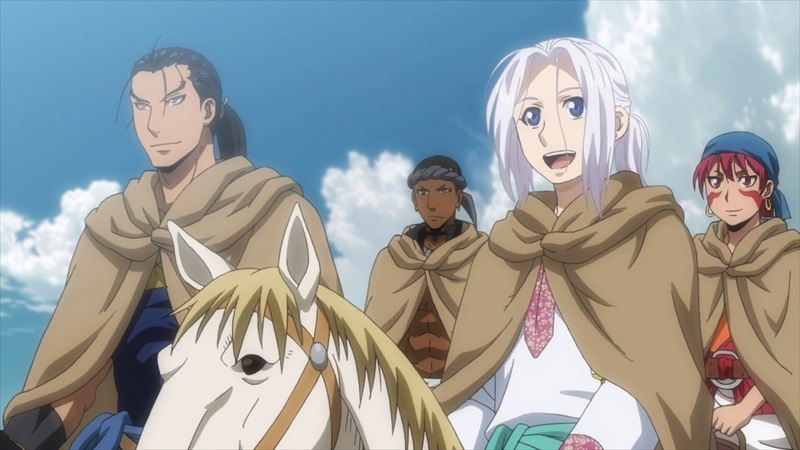 The Heroic Legend of Arslan: Dust Storm Dance, otherwise known as the Second Season of The Heroic Legend of Arslan, is simply a continuation to the events that unfolded in the first season, and as such is incredibly difficult (if not impossible) to enjoy without being familiar with the first season. Of course we are familiar with the first season and it is clear to see where the story is taking us; to a war between different factions with different agendas. It is a battle for the crown, and a battle to rule the nation – but sadly we won’t get to witness it here and it instead being saved for a third season or continued in the source material of the manga. So what exactly does this second season offer? 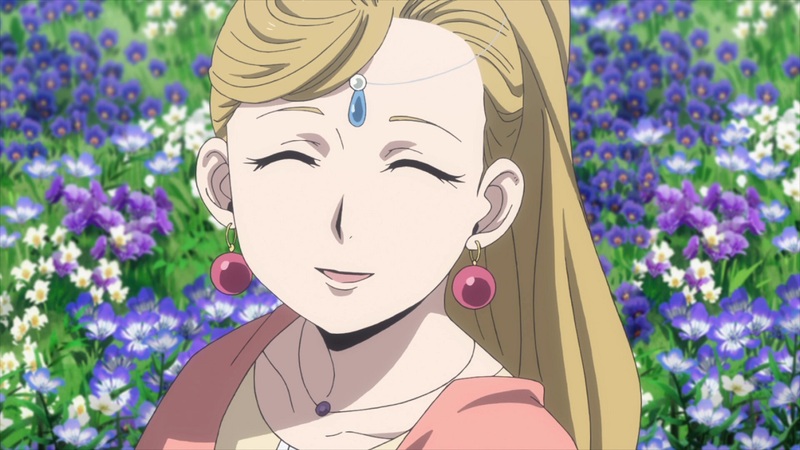 Well to be blunt a bit more character depth in Narsus and Hilmes is given, with past friendships for both characters being brought out on display, as well as the ultimate challenge of exile for Arslan. In this case after Arslan successfully protects Peshawar from Turan soldiers he is forced to find 50,000 soldiers and as such ventures to the port city of Gilan. Here we encounter shady backroom dealings with pirates and a new battle of returning order to the city; a task which is accomplished and new soldiers obtained. Just as the story gets moving, and it does jump between three different factions (Arslan, Hilmes and Temple Knights) it quickly draws to an end with the promise of an upcoming battle. This promise will have to wait for another day; but in from my perspective The Heroic Legend of Arslan: Dust Storm Dance is presented in an abridged fashion with only key points being focused on. Battles, as much fun as they are to watch, are quickly overshadowed by key duels that end all too quickly. Hilmes rescue is fast and swift, so its Arlsan’s exile from Peshawar. Everything happens too quickly with the narrator being left to provide context during and between episodes. Animation wise remains consistent with previous release; although the CGI battles do (at times) look a bit off. Although presented in a rather fast manner The Heroic Legend of Arslan: Dust Storm Dance remains consistent with the story and presentation of the original season; and this Blu-Ray release – with disc masters authored by FUNimation – remains as equally consistent. A strong cast (both in English and Japanese) with a great selection of bonus features makes this a consistent release that remains as strong as the first season; albeit on a smaller scale. The Heroic Legend of Arslan: Dust Storm Dance, otherwise known as The Heroic Legend of Arslan – Season 2, will be available on Blu-Ray from the 25th March 2019.